Dead Rising: Chop Till You Drop (known in Japan as Dead Rising: Zombie Sacrifice) is an action-adventure video game with console role-playing game elements. 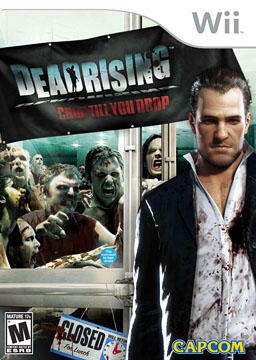 The game is a remake of Dead Rising from the ground up for the Wii console. The game was first released on February 19, 2009 in Japan, and later that month in other countries. On the mission where you need to get the medicine there is a video sequence about the mad shop keeper. After the video two unknown pointer errors have been seen. The graph below charts the compatibility with Dead Rising: Chop Till You Drop since Dolphin's 2.0 release, listing revisions only where a compatibility change occurred.